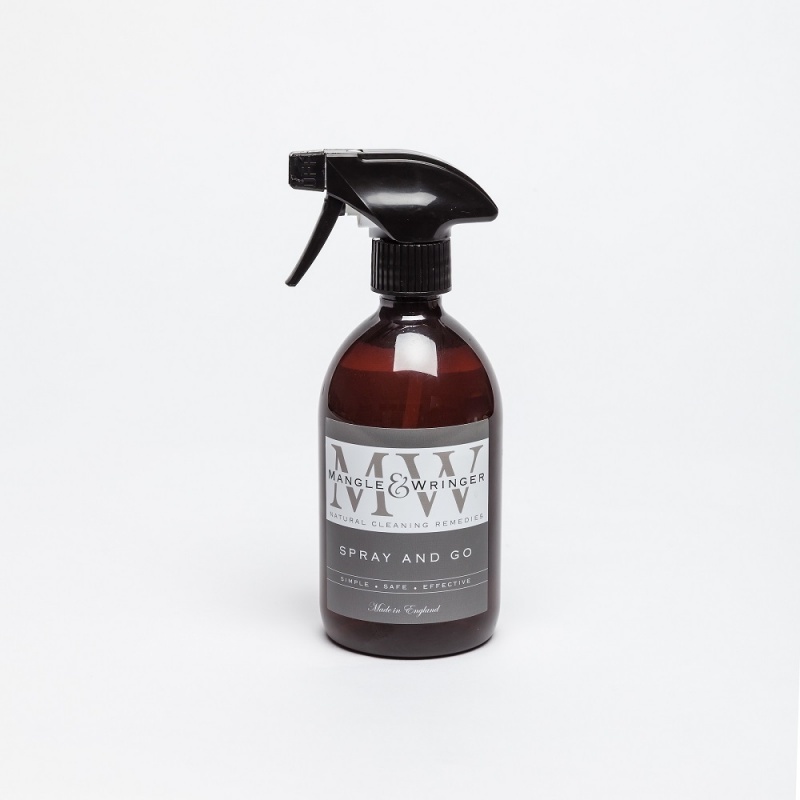 A natural all-purpose spray in a reusable bottle which is also refillable. This spray bottle is PET and is intended as a bottle for life - to be reused and refilled with the glass bottle refills. Spray & Go is an award-winning, multi-purpose cleaner, that contains Bette’s original recipe lemon oil and is highly effective on all washable surfaces. As a fermented product, it is naturally antibacterial and will quickly remove grease, grime and odours to leave a sparkling, streak-free finish. Use it on sinks, worktops, tiles, cookers, glass and induction hobs, paintwork, taps, plastic, ceramics, stainless steel, the list is endless. Aqua, Acetic Acid, Organic Coconut and Sunflower Oil Soap, Lemon Oil, Palm-free Vegetable Glycerine, Potassium Chloride, Potassium Citrate.